Keynote speakers from Google and ComScore and a fantastic entrepreneur speaking about Chatbots in hotels. 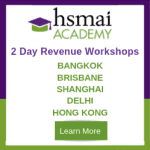 Check out the list of expert speakers recruited for the HSMAI Revenue Optimisation Conference in Singapore on the 8th-9th May, 2018. Experts from local hotels, global brands such as Accor, IHG and Four Seasons and specialists from Google, Rainmaker, IDeaS, RateGain alongside academics from Singapore Institute of Technology. Speakers are the Hotel leaders across Asia Pacific and the world. See the list of speakers and panellists from leading hotels on this page. Contact Navodit for all enquiries regarding partnership with HSMAI, Event Sponsorship and partnering with the HSMAI Academy. Navodit is also leading the growth of HSMAI into India. Joe Nguyen Senior Vice President Asia Pacific, ComScore Inc.
Puneet Mahindroo Founder and Chief Executive Officer at Rev-Mantra Pte. Ltd.
Akemi Tsunagawa Founder & CEO at Bespoke Inc.
Limin Cheng HSMAI Singapore Chapter Vice President, HSMAI Revenue Advisory Board and the Blue Mountains Hotel School Alumni Board. Contact Heidi for any enquiries regarding the Revenue Advisory Board and their activities. Send us a message for any queries you have about HSMAI Asia Pacific and we'll get back to you as soon as we can. I consent to HSMAI Asia Pacific collecting my details through this form.